EMAIL for booking needs and more information about public classes, summer camp private workshops and educational shows & workshops for schools,camps and community centers. Provide us with desired dates and programs, as well as expected attendance numbers for each program so we can quickly respond with a quote. FEES $300 includes Show, Workshop, Pizza, Beverage and Service for up to 10 students, plus one chaperone, $30/Additional Student , ONE Free chaperone per 10 students, $20/Additional Adult Chaperone. Base rate due minimum of two weeks before event date. Balance for additional guests can be paid the day of the event. We host groups form schools, camps and community centers almost daily. The cast of EIGHT IS NEVER ENOUGH has been performing at K-12 Schools since 2003 for in school assemblies, after school, summer camp programs, PTA Nights/Fundraisers and even public programs at libraries, JCCs and more. 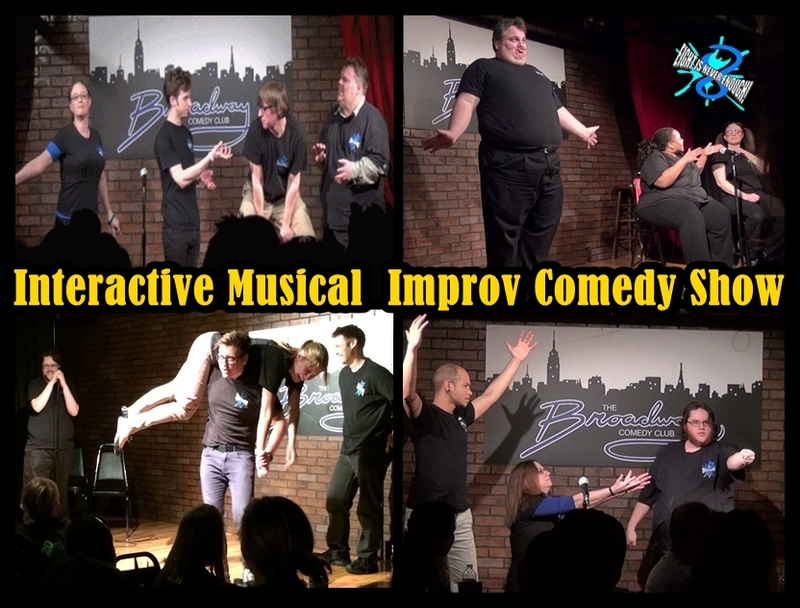 In addition to shows, we offer workshops, residencies and professional develop, using Improv comedy to entertain as well as teach valuable life skills. We often work with corporate teams and bring those skills for the works force into schools, especially for teens that will soon find them selves competing for jobs and advancement in the all to soon coming years.